More than two dozen Senegalese migrants have gone missing in neighbouring Mauritania after their boat ran aground while en route to Spain’s Canary islands, Mauritanian authorities said. Regional police chief Mohamed Abdallahi Ould Taleb said 26 or 27 migrants are thought to be “on land, hiding in caves, or they have secretly entered” the port of Nouadhibou, Mauritania’s second largest city. They had been travelling with another 75 Senegalese, including two women, who “were intercepted on the way to the city or near their boat, which washed up on Mauritanian shores after five days at sea,” Ould Taleb told a news conference. The boat had passed Mauritania and reached Moroccan waters when its engine failed, a young Senegalese migrant told the news conference, adding that the current then carried the boat back towards Mauritania, where it ran aground late Monday. Ould Talb said several passengers were treated for “extreme fatigue” while awaiting repatriation to Senegal, expected by Thursday. Mauritania’s coastguard on Sunday towed another boat with 125 migrants aboard, all Senegalese, to the capital Nouakchott after its engine failed in Mauritanian waters, a security source said. 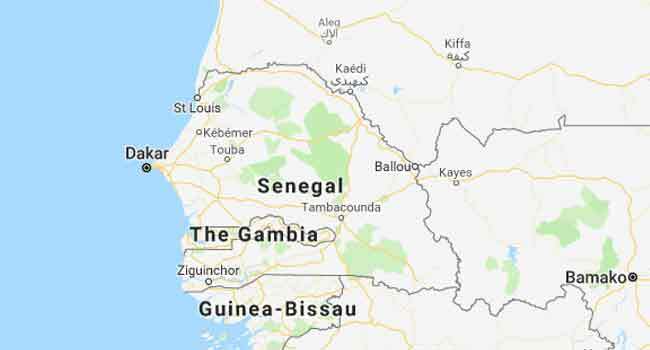 In Senegal itself, 25 would-be migrants from the centre and west of the country were arrested on Tuesday while waiting for their voyage in a house in a working-class suburb of the northwestern city of Saint-Louis, police there said. The Canaries, around 100 kilometres (60 miles) off of Morocco, were among the main clandestine migration routes to the European Union in the mid-2000s before sub-Saharan Africans began favouring Mediterranean routes to Spain or Italy. But with the route through Libya shutting down as the Libyan coastguard increases patrols, people smugglers are setting their sights westward. Northern Senegal has seen a surge in departures, often organised with the complicity of local fishermen, according to a Senegalese border police official.